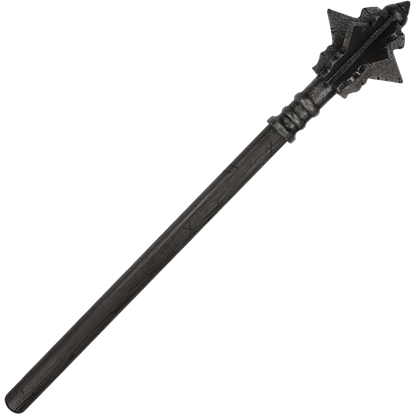 Looking for a great LARP mace to smash your LARP opponent's armour or use in a re-enactment? These great looking LARP maces are very durable and the best on the market today. We have long maces, short maces, knight maces, and mercenary maces for the LARPer, re-enactor or used in practice. All our LARP maces have a fiber glass core-rod, encased by a thick layer of plastic foam. These LARP maces are made of foam but are very authentic looking compared to the ones used in medieval times by knights. A trusted tool from the workshop can now be your next weapon in LARP battle. 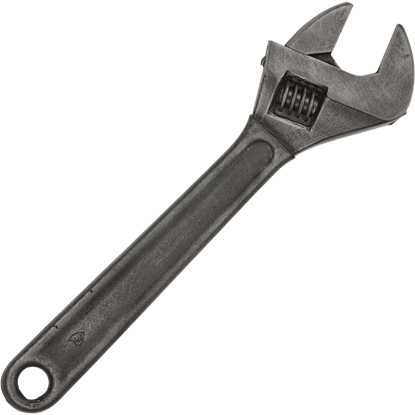 The Battle-Worn Big Bertha II Wrench has the look of a large, weathered wrench and is made completely out of highly durable, latex-free Calimacil foam. Your enemies will not know what hit them when you bash and crush with the Battle-Worn Dentist Studded LARP Club. 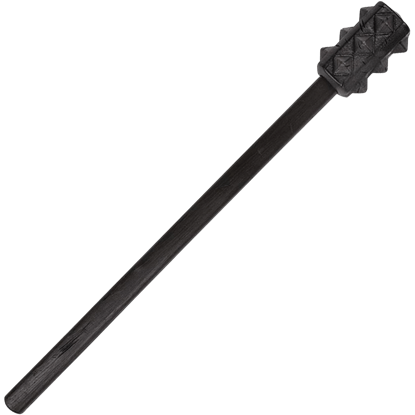 Ultra durable and safe for LARP, this latex-free foam weapon has the look of a battle-scarred, studded wooden club. Whether used as the weapon of choice for a dark lord, orc warrior, resourceful knight, or fearsome adventurer, the Battle-Worn Kiefer LARP Mace is a fantastic choice for LARP battle. Hand finishing creates its battle-scarred look. Whether as the weapon of a brutal warlord, warrior orc, or any other fearsome medieval fighter, the Battle-Worn Odo LARP Mace is a fantastic addition to any LARP arsenal. This LARP war mace has a hand detailed, battle-scarred look. Nothing says destruction quite like a mace, and the Chaos LARP Mace is no exception. With its expertly crafted details, this latex coated foam weapon is sure to strike your opponent with fear when you step onto the LARP battlefield. Streams of molten lava glow beneath your feet, and the agonized wails of the undead pierce the air, but your courage never falters. With the Demon Slayer at your side, you prepare to exact revenge on the armies of the netherworld. 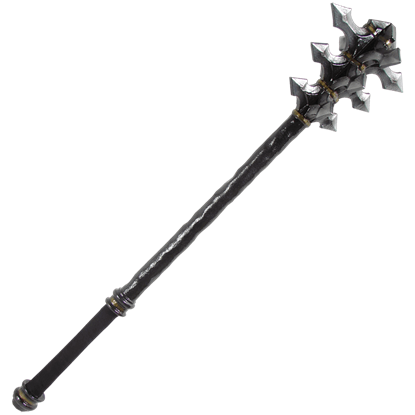 Covered in gold spikes, the silver head of this battle mace resembles the egg of a fearsome dragon. 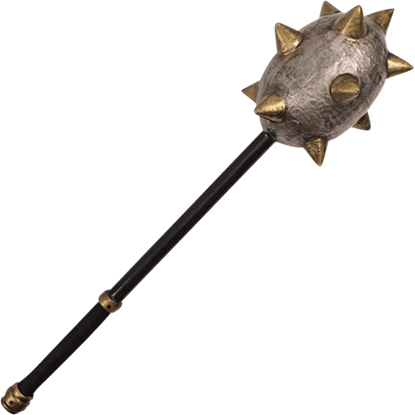 With a long black handle, this Dragon Egg LARP Battle Mace will scramble the thoughts of any opponents not wearing proper headgear. 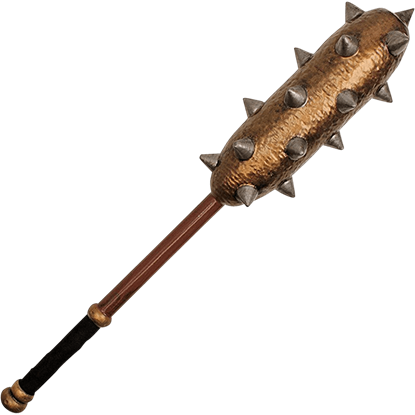 Perfect for orcs, trolls, barbarians, and other brutish races, this Gilded Bruiser LARP Mace features a padded golden mace head with silver spikes. This fantasy foam mace also makes an impressive addition to any cosplay ensemble. Perfect for modern day and post-apocalyptic LARP settings, the Homerun LARP Bat is a unique addition to any LARP arsenal. With its realistic, slightly weathered steel color, this Calimacil foam bat also makes a great stage prop. Savage warriors, bloodthirsty monsters, and dark warlords will love the sound of bones breaking under the Kiefer LARP Mace. 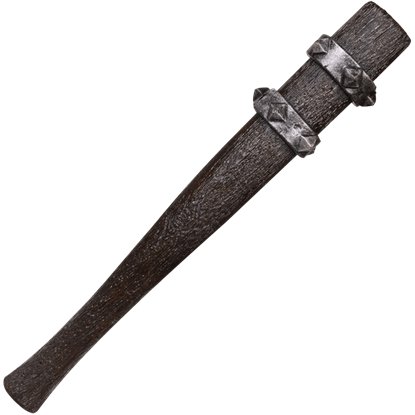 This weapon is easy to use and can be used by warriors in battle or by simple travelers for protection. 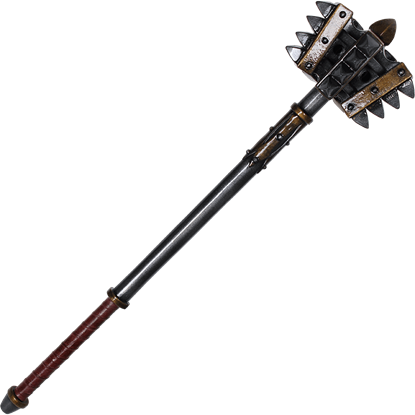 There was some debate as to whether to call the Kings LARP Mace the grinder. 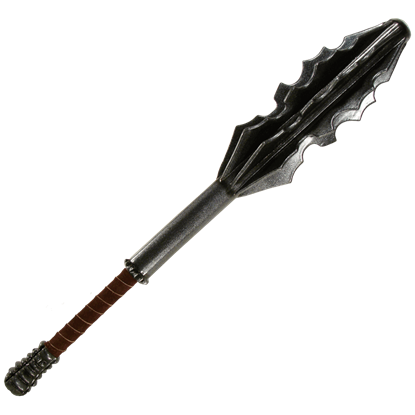 Set with five wicked flanges, each of which is set with four teeth, this wicked mace is one weapon that your foes will certainly learn to fear in battle!